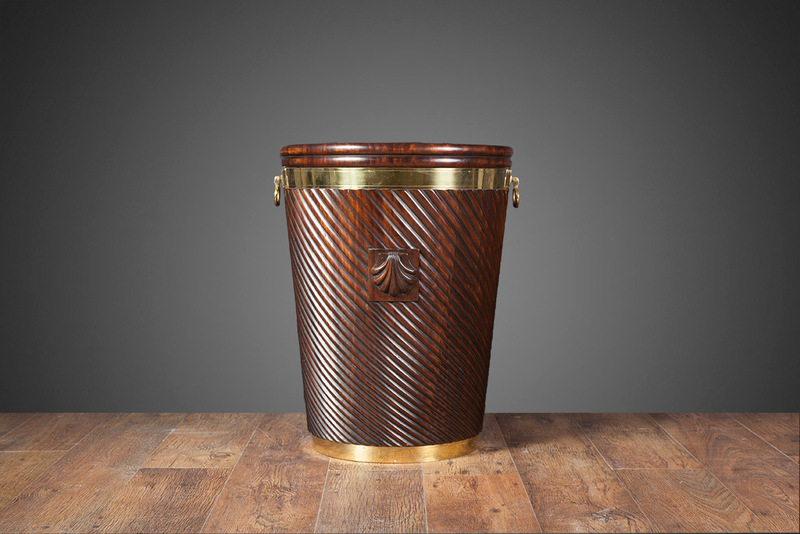 Large mahogany Irish turf bucket with carved scallop shell detail. The richly coloured mahogany body has been polished dark and slightly distressed to simulate age. 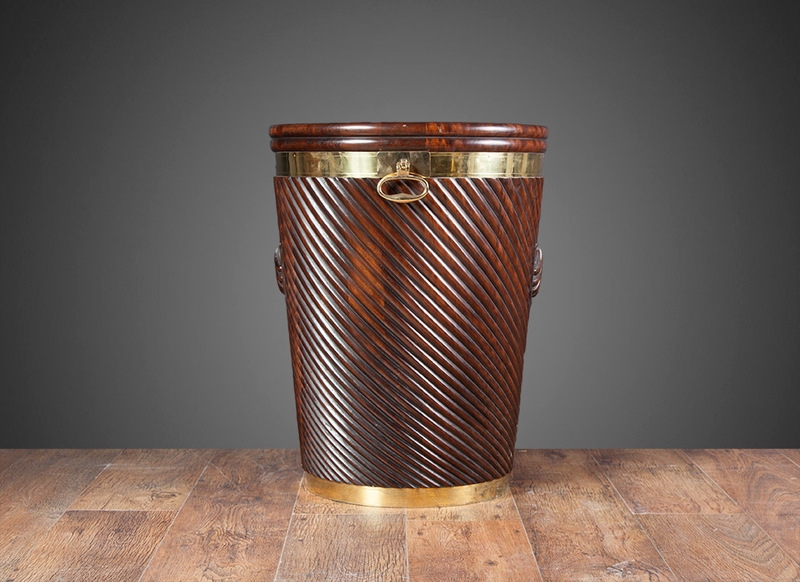 The hand carved bucket is brass bound and fitted with solid brass handles and liners. Made by Ryan and Smith in several sizes and various styles.